How do I find a Mediation Lawyer? - Mediation is often a more informal process, that does not require abiding by the rules of evidence, legal motions, and other formal rules of litigation. - Costs are usually minimized, as the time and work needed by lawyers to successfully mediate a case are much less than required for litigation. - Mediation does not create a binding decision unless both parties are in agreement to their terms. Mediation can often lead to arbitration, which is an informal process like mediation but does result in a binding decision by a neutral decision maker. Mediation may be mandated by a court or government agency, or it may be used at the option of the two opposing parties. If you are seeking a quicker resolution of a case without incurring the expense of litigation, mediation may be right for you. A mediation layer needs just as much information about your case as any other attorney would require to represent you. Make sure to provide all of the details about your case and provide all available documents and information that you have. Your mediation lawyer will want to know what you want to achieve through the mediation and will discuss at length what will be acceptable results of the mediation process. Mediation often requires concessions by both parties, so be prepared to get less than your ideal solution would be. Instead, come to your mediation lawyer with an open mind and willingness to settle the matter in a timely manner. Mediation lawyers are usually available in most areas. Look through advertisements and listings to find lawyers who claim that mediation is their specialty. Although advertisements and listings are good for getting the names and locations of lawyers, always do research about the lawyer before hiring them for their services. 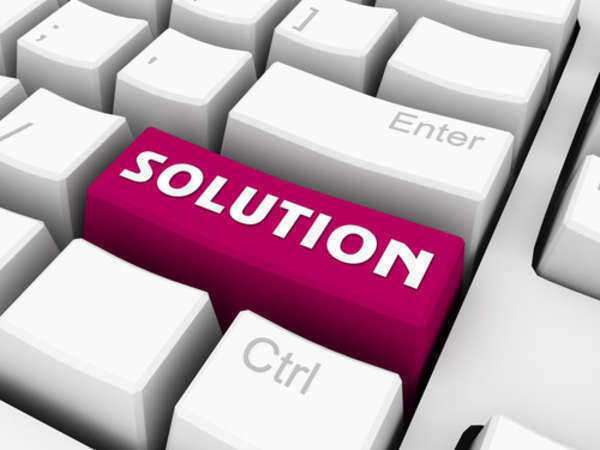 Try to find previous clients who can give recommendations and suggestions for finding a mediation lawyer. This website can be a valuable tool in your search for a mediation lawyer. Use the search function at the top of the page to see a listing of lawyers in your area. Lawyers are available to ask questions and tools for comparing different lawyers are also available. Mediation is a specialty in the field of law because it involves a different mindset than traditional litigation. Mediation lawyers specialize in negotiating and creating value in the settlements they secure for their clients. It is highly recommended that you seek a specialist if you want to use mediation for your legal issue. Mediation lawyers know how to set up mediations, conduct them, and to successfully complete them while keeping their client's needs in mind. It is important that you gather all the relevant documents and information that you have available relating to your case. In order to prepare, your mediation lawyer will need as much information as possible in order to best secure your position during the negotiation process. You should also be prepared to discuss what type of agreement you are seeking, the most important objects of your case, and what concessions you are willing to make during the discussions. Prepare to ask questions and to engage the mediation lawyer to best evaluate their negotiation skills as well as get an understanding of their personality and work ethic. All lawyers are required to graduate from an accredited law school, meet ethical standards, and pass the bar exam. However, it is important that you seek a mediation lawyer who has real work experience participating in mediations. Ask any potential mediation lawyer about their past experience, successes, and achievements they have reached while mediating client's cases. Do not only choose a lawyer by advertisements and appearance. It may take some time, but it is worth it to conduct some research about a lawyer before hiring them for their services. An experienced mediation lawyer will have very strong communication and interpersonal skills. Mediation is a very personal process and mediation lawyers must have exceptional negotiating skills. Ethical violations may indicate that a lawyer is not to be trusted, so make sure to investigate any ethical violations or complaints by prior clients. This information is available on the internet as well as by contacting the local bar associations. Get to know your mediation lawyer so that you can develop a trusting relationship. Your lawyer should do all work with your best interests in mind, so make sure to be wary of a mediation lawyer who will not follow your instructions. Do not be afraid to drop a difficult lawyer, as it is your right to be represented in the way you feel is appropriate. Different lawyers will use different methods for collecting fees and expenses. Depending on the type of case you bring to your mediation lawyer, they may either charge by the hour or on a contingency basis. A contingency fee is collected by the lawyer only if they secure a monetary award or settlement for their client. The typical contingency fees can range from 30% to 40% of the award amount. Some lawyers who charge hourly will require a retainer before they start working on your case. A retainer is a payment into an account that will be deducted as the lawyer works on your case. These retainer fees are non-refundable and can only be applied to attorney fees and expenses. Some lawyers will also charge fees for the work done by their support staff. Check with your lawyer about the fees before retaining their services. What will be the fees for the legal services and how will they be paid? How long and how much should the process require financially. How helpful will mediation be for your case. Mediation can usually be a cheaper alternative to traditional litigation, however it is not appropriate for all cases. Finally, keep an open channel of communication with your mediation lawyer. Ask about when the lawyer is available for updates and discussions, where to reach him or her, and when you can meet with the lawyer to discuss the case.